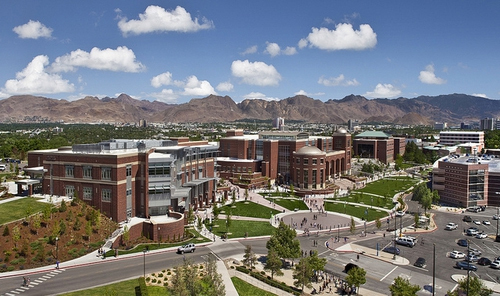 The University of Nevada, Reno is the State of Nevada’s land-grant and historic flagship institution of higher education. With a growing student enrollment of 22,000 , the University provides a broad range of programs and degree options, ranging from baccalaureate degrees in nearly 140 disciplines to more than 70 graduate degree programs at the master’s and doctoral level. The University is rated as a “Tier I” institution by U.S. News & World Report, ranking the institution among the top 100 public universities in the country. In addition, it is categorized as a “Comprehensive Doctoral, Arts and Sciences/Professions – Balanced, High Research University” by the Carnegie Foundation’s listing of colleges and universities, ranking the University among the top 10 percent of all colleges and universities in the country. EPI is proud to support a select number of high achieving students (National Merit and Presidential Scholars) in engineering and computer science disciplines for their undergraduate studies. Students selected are from less economic means, of a minority, or are the first in their family to attend university. Click here to visit The University of Nevada, Reno website.